If you are aged between 11 to 17 and look after someone with a physical or mental health problem, you might not think of yourself as a carer but you probably are. There is a whole community of young people like you facing the same day-to-day issues and Harrow Carers are here to support you if you or the person you care for live in Harrow. A young carer is a young person aged up to 17 who is providing unpaid care for a person that an adult would normally provide, that has a physical or mental health problem including autism, dementia and learning disabilities, or is dependent due to age, substance misuse, long-term or terminal illness. 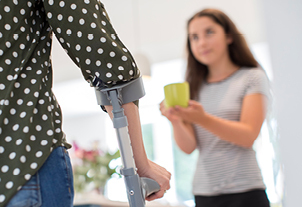 As a young carer, you can find helping someone very rewarding, but you also have the right to be looked after. If you are a young carer, find out what support you can access. During half-term breaks and summer holidays, we offer residential trips, fun activities and educational events. Follow us on Instagram: @Harrow.YoungCarers for updates and pictures from events! Why not check our events? Every season we update our programme to include new events and activities for young carers to participate in. From tuition session to day trips we have a variety of things for young carers to pick from to improve skills, socialise and most importantly relieve stress from day to day life. Check our young carers calendar to see what events we have planned for the coming season. Do You Know a Young Carer? Are you a professional working with or in contact with a young carer?